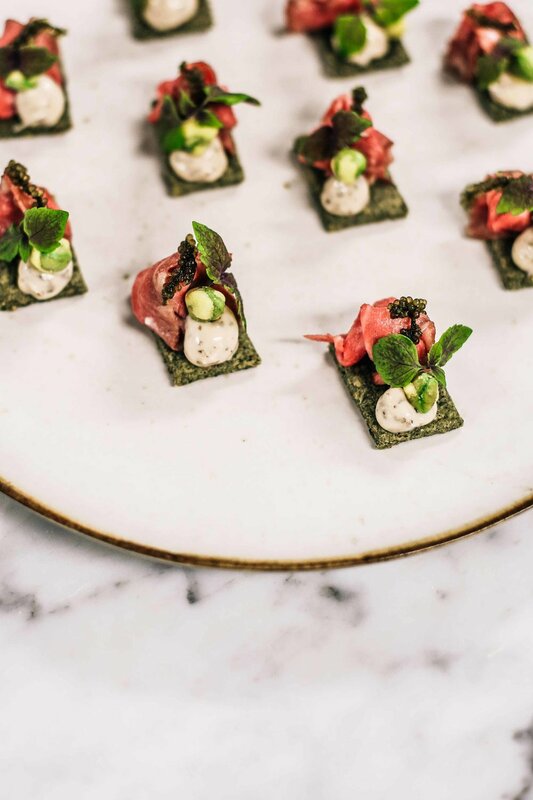 Bridging the gap between restaurant quality and catering services, we are Melbourne’s premier event caterers – with a difference. We believe in style with purpose, which is why fresh, locally sourced ingredients and seasonal, sustainably grown produce grace the pages of our food and cocktail menus. Because to us, the best times are always dished up with a hearty dose of consciousness. With a host of talented chefs hard at work behind every event, we are proud to serve up food that is innovative, creative and above all, delicious. Please find below our current sample menus, for breakfast catering, cocktail events as well our corporate catering small batch items. needs. Please get in touch to enquire your event - we would love to create something unique for you.